In a rare outburst, former Chief of Army Staff and Minister of Defence, Lt. Gen. Yakubu Danjuma, on Saturday raised alarm that there was an attempt at ethnic cleansing in the country and asked Nigerians to rise up to resist it. He spoke in Jalingo at the maiden convocation ceremony of Taraba State University and said Nigerians must be alert to defend themselves and their country, pointedly accusing the military of complicity in the killing of farmers by herdsmen. But in a swift response, the Nigerian Defence Headquarters (DHQ) said Danjumaâ€™s allegation would be investigated and any of its personnel found culpable would be brought before the law. The Director of Defence Information, Brig. Gen. John Agim, in an interview with THISDAY, on Saturday, said the DHQ was taking the former defence ministerâ€™s comment seriously in view of his personality. Agim said: “We take that statement seriously because of the personality of the person of Gen TY Danjuma. Danjumaâ€™s admonition came just as some elder statesmen warned on Saturday that unrestrained killings by herdsmen could undermine the unity of the country. 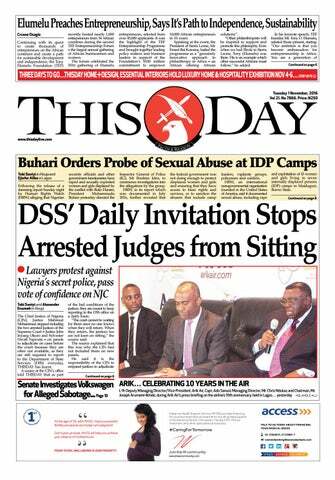 Those that spoke exclusively to THISDAY were a leader of the Yoruba socio-cultural group, Afenifere, Chief Ayo Adebanjo; legal luminary and former Minister of Education, Professor Ben Nwabueze; and a leader of the Arewa Consultative Forum (ACF), Alhaji Tanko Yakassai. Danjuma, who was visibly enraged by the incidences of killings across the country accused the Nigerian Armed Forces of being partisan and colluding with armed bandits to perpetrated carnages across the length and breadth of the country. He said: “When I arrived this arena, I saw rich cultural display, and I was amazed at the rich cultural heritage of our people. Taraba is a mini Nigeria with diverse ethnic groups living together relatively peacefully. But the peace in this state is under assault. “There is an attempt at ethnic cleansing in the state and of course, in some riverine and rural states in Nigeria. We must resist it. We must stop it. Every one of us must rise up. 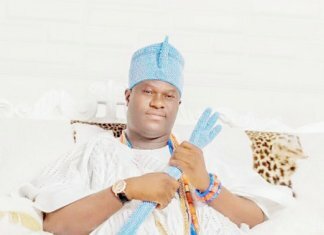 The philanthropist, who donated N100m to the university’s endowment fund enjoined Nigerians to rise up to defend themselves, saying Somalia would be a child’s play if they failed to act. “This ethnic cleansing must stop in Taraba State and other rural states of Nigeria, otherwise Somalia will be a child’s play. I ask every one of you to be alert and defend your country, defend your territory and defend your state. Defend yourselves because you have no other place to go…God bless our country,” he said. Danjuma’s comment is coming on the heels of allegations of complicity raised against Army personnel involved in Exercise Ayema Kpatuma (Exercise Cat Race) by communities in the Southern zone of Taraba State, particularly in Ussa and Takum Local Government Areas including Yangtu Developmental Area. Speaking in separate interviews, the Chairmen of Ussa and Takum, Mr. Rimansikwe Karma and Mr. Shiban Tikari respectively, accused the army officials of brutality, extortion and colluding with herdsmen to displace rural dwellers and take over their farmlands. They said they had received several complaints of molestations, tortures and extortion of innocent victims, from their constituents. One of those extorted, according to them, was a widow, Mrs. Jummai Andeyaba, whose N150, 000 got missing after soldiers on the exercise allegedly stormed her residence in search of arms and ammunitions. According to Tikari: “It is sad to note that the soldiers of Excise Cat Race are harassing our people in the towns, while herdsmen are attacking and killing others in the rural communities. “We expect the soldiers to go into the bush and help us flush out killer herdsmen and kidnappers instead of beating up people in the town. Also speaking in the same vein, Karma said: “The operation was causing more harm than good to the council. The soldiers were searching peoplesâ€™ houses and seizing knives, cutlasses and harassing them while heavily armed herdsmen were burning houses and killing our people. Meanwhile, perturbed by growing insecurity in different parts of the country, prominent Nigerians, on Saturday, warned of impending danger to national security as it appeared that the spate of killings by herdsmen might have overtaken those by the Boko Haram terrorists in recent days. 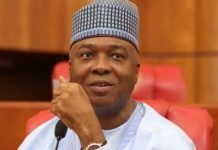 In separate exclusive interviews with THISDAY, these prominent opinion leaders hinged their positions on some of the reported killings by herdsmen in the last few weeks and expressed worry that if such continues, then, national security might not just be compromised, Nigeria herself would slip off the precipice. Nigeriaâ€™s foremost constitutional lawyer and Chairman, Southern Leaders of Thought, Prof. Nwabueze, grieved at the devastating activities of herdsmen, which he said had claimed over 600 lives and displaced thousands between January and March of this year alone, warning that the killings were capable of bringing the nation down if not arrested decisively. According to him, the herdsmen killings had two fundamental objectives, which were tailored â€œto re-establish political hegemony and religious supremacy based on the religion of Islam with its peculiar ideology,â€ even as he expressed disappointment at the failure of the federal government to arrest the situation. Maintaining that the killings showed why the unity of Nigeria was still problematic, he maintained that the herdsmen invasions evidently complicate the problems of Nigeria as a state. He said: â€œNigeria as a state has been classified as a failed state. The Google Failed State Index ranked Nigeria the 15th worst failed state in the world. 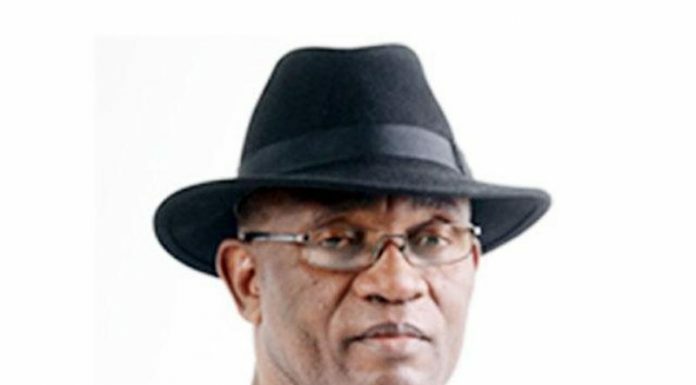 Faulting the defence by federal government officials who described the herdsmen-farmers conflict as mere communal clashes and those who likened the killings to ethnic cleansing, the constitutional lawyer reiterated that it was sheer misconception or misrepresentation to describe herdsmen-farmers conflicts as communal clash. â€œIt is not communal in nature at all. And it cannot be communal, because Fulani herdsmen do not constitute a community, a community being a group of people living together in the same locality under the same laws and regulations,â€ he argued. Another leading voice in Nigeria, a prominent member of the pan-Yoruba socio-political organisation, Afenifere, Chief Adebanjo, was not hopeful that there could be any meaningful improvement to the situation under the current administration of President Muhammadu Buhari. He said: “I am annoyed with you people (media). The president is aiding and abetting the thing (herdsmen attacks) and you are all side-tracking to condemn him. He is one of the patrons of herdsmen. They wrote to him that they (herdsmen) are doing this and he has not done anything, and he has been supporting them from years back. 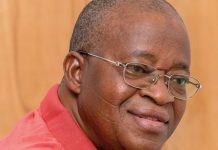 Asked what he thought could be the way out of the quagmire, Adebanjo retorted: “The way out is for him to come out to say he is no longer supporting them. How can you say people are killing people in day light and there is no arrest? We have security; we have Army and we have Police. 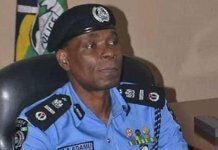 He gave an instruction in January, he didn’t know it was not obeyed in March and his Inspector-General of Police is still there. What other way to condone is more than that? “They killed them in Agatu; they went back again there, not a single word of sympathy. It happened in Adamawa; all over the country. At a time they denied that they are not Fulani. Remember, at the beginning of this thing (herdsmen attacks) they were saying ‘why are you calling them Fulani; that they are coming from another country? “Under normal circumstances, law and order would have broken down in Nigeria and Buhari must be told. How many people did IPOB kill before he declared them as terrorists? They are people who are shouting for their own autonomy in their own territory. He didn’t hesitate to declare them as terrorists but these are people that are known now – they are all over the country. “If you see the video of how they kill people; are they human beings!? After killing them, then they shock them like animals. Have you seen the video? Or the government has not seen that? Is it not a shame to be connected with such kinds of people? No decent man will like to live with such kinds of people and yet, there is no rounding up of any group. If they had been rounded up on one occasion, it would not happen again. Speaking also on the issue, politician, right activist and erstwhile liaison officer to former President Shehu Shagari, Alhaji Tanko Yakassai, was somewhat hopeful that if the administration would seek relevant opinions from stakeholders and put them to use, the situation could be reversed. He said: “Whatever problem you find yourself in, it is either you generate mechanism to deal with it or you invite wide range of opinions to galvanise and get them to develop some ideas as to how to handle the problem. “My opinion is that since this thing (herdsmen violence) has persisted for so long like Boko Haram. I think the government ought to organise a stakeholders meeting involving the farmers, herders, the governors, National Assembly, academics, political class, traditional rulers and public opinion moulders, like you the media people. You will put them together. “You see, the tradition in governance is that â€“ this is why the president is required to do a state-of-the-nation address and therefore, the members of the National Assembly will debate the address. During the debate of various aspects of the address, ideas are generated. There will be 1000 ideas out of which you can get 10, 20, 100 concrete ones that you can pick and apply them to solving the problem. “So, my opinion is that it is not too late for the government to now organise a stakeholders meeting comprising all the people I mentioned before, including students, women â€“ all of them. Let them generate ideas and put those ideas to writing by way of summary of the debate. Sometime in January, renowned playwright, Prof. Wole Soyinka, had said the federal government was responsible for the wanton killings perpetrated by Fulani herdsmen in the country.